I officially joined the team in November as a co-founder and design lead for both brand and product. My first task was to redesign our brand identity and come up with a new name. 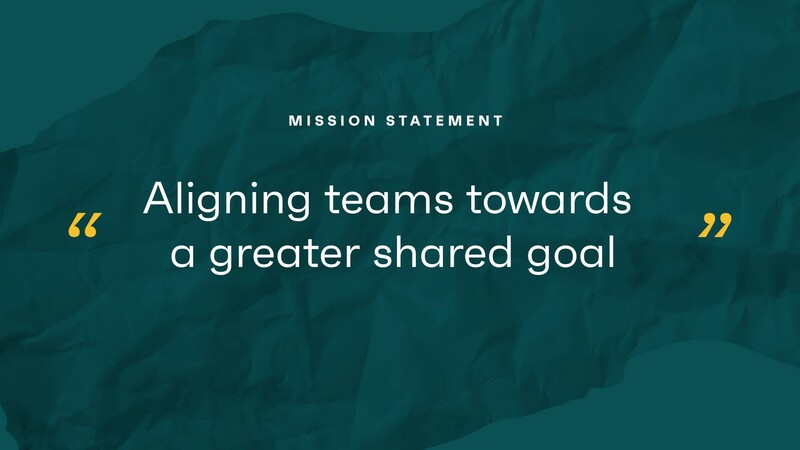 We were pivoting directions in our company mission and purpose, and Squadlytics needed a more fitting identity to go with it (more on that here). I’d never had to name a company before, but I approached it like any other brand or logo design I’ve done. I knew the name needed to tell a story, and it needed to feel authentic. 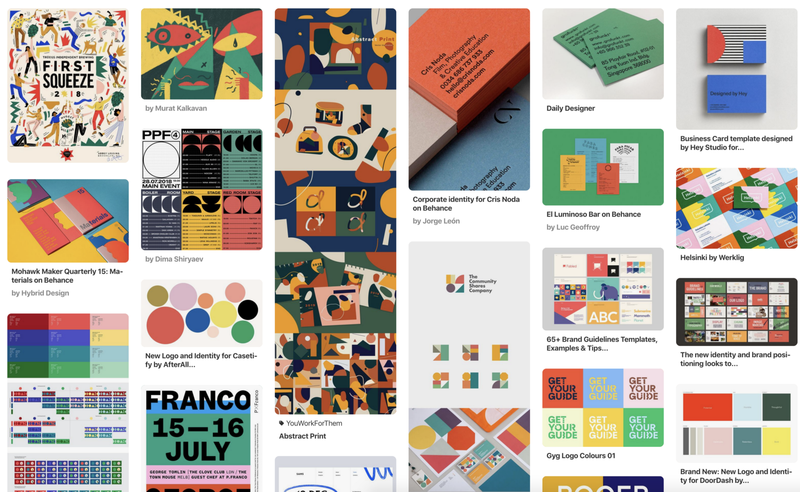 Whether it’s a logo or a website or a name, it‘s a story telling platform, and whether it looks pretty or not, it needs to be meaningful and make sense. It’s a long thought process that takes time and it sometimes comes unexpectedly. Startups, on the other hand, move FAST. There is not enough time to think about the little details that go into a brand system. You need to ship, and ship often. So my challenge was this: find a way to balance the fast pace culture of a startup and create a thoughtful brand. Here are a few learnings from that process. We had two weeks before we wanted to launch our app on Product Hunt, so we set that date as our deadline. Having never named a product before, I didn’t really understand the process and how long it would really take for us to find something we liked. My co-founder, Sten, and I basically crammed the whole week before to come up with 15 names each. They all had to meet a few criteria. Mostly (A) it needed to represent our company and mission accurate and positive way and (B) have an available domain. I spent every waking moment thinking about words that associated with our company, then several hours a day running startup name generators, searching the thesaurus, and skimming through a Japanese dictionary. 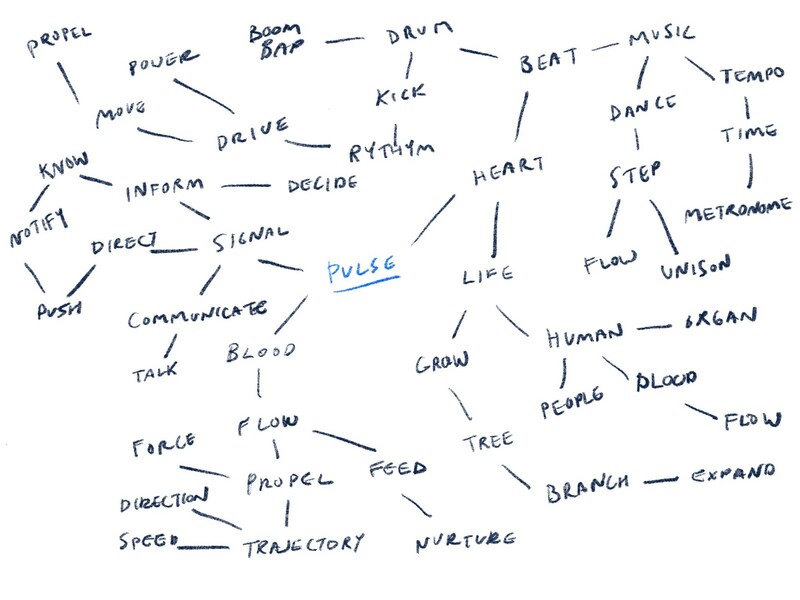 Pulse.io, Metronome, Signal, Mainspring, Bouncepass, Akita, Focus.io, Polaris, Aogo, Compass, Kedge, etc… We had a huge list of names but they were mostly bad. At this point the creative process was more about an output than coming up with a great solution. If you’re on a tight deadline, your natural inclination might be to throw as many hours at something as possible. Sometimes that works, but sometimes you need to step away for a bit. Taking some time off or go work on one of the hundreds of other tasks you have might help you come back to it with a fresh perspective. Exhaustion does not foster creativity. We agreed that Cardinal Software was the best we could come up with that had an available domain (cardinal.so) so we sent it to the lawyers to get it trademarked. Mark it done, move on. We went back to working on the product while the trademark was being processed. A few weeks passed and we found out that there was already a trademark registered Cardinal Software. Thankfully it was a name we weren’t that excited about to begin with, so we were both pretty relieved. Having the time away from it allowed us to come back to it with a positive attitude and a new lens, and the name came to us quickly. When we came up with the name, we knew it. It made sense and felt good right away. After we had the name, the visual aspect of it was cake. We had already done so much thinking up front with the naming, so representing that visually came pretty natural. We knew it needed to be positive and up lifting. We needed to find harmony between the reds, yellows and greens that represent goal statuses in our product. We needed to represent our new mission, which was more about collaboration and synchronization within a group of people. It sounds simpler than it really is, but you really need to learn to go with your gut when you’re working at a fast pace. When you know it’s good, you know. Go ahead and ship it. It’s always been a struggle of mine–shipping a design before I felt like it was really done. Especially with something like a brand or logo design. We have this idea as a society, that logos are a cornerstone of a company that represents everything and shall never change, but design trends change, customer needs change, your company vision will change. 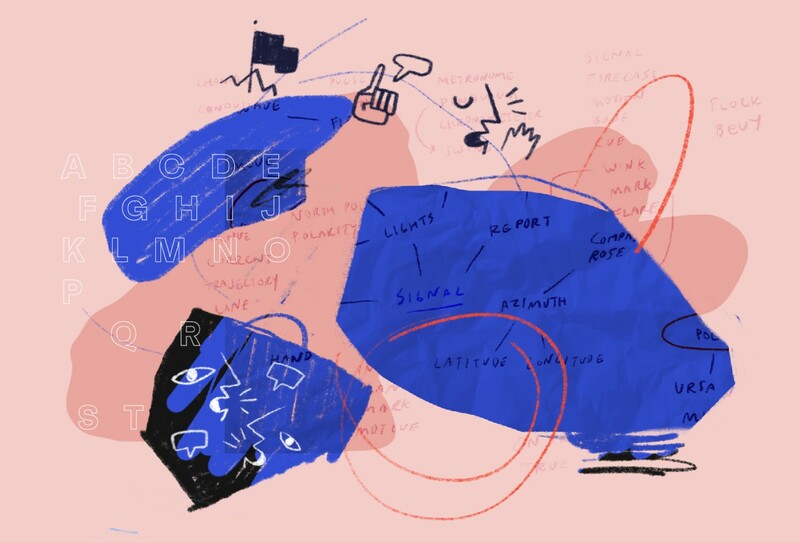 A brand identity will always be evolving, so ship it, iterate, get feedback and give it space to grow. Here’s our work in progress, shipped. Try it today and let us know what you think about our work–your feedback is everything to us, and it’s a vital part of our design process. Brand designer and basketball enthusiast. 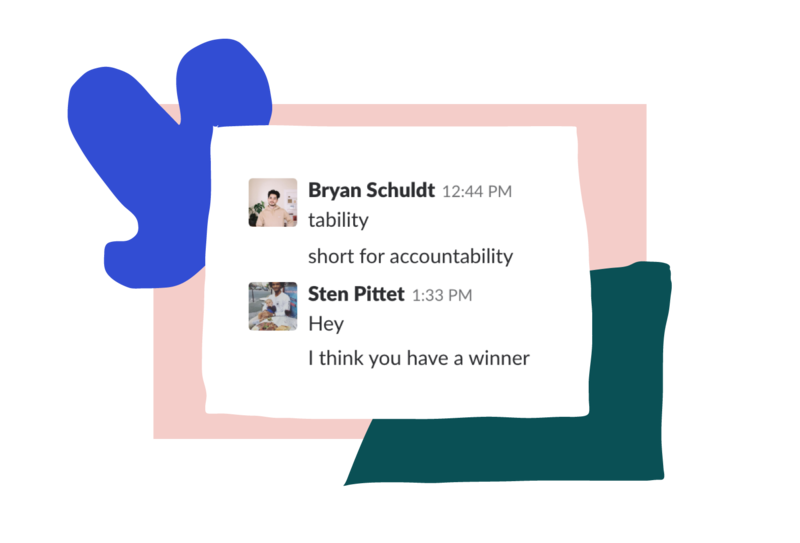 Remote work has 99 benefits, but sharing a common purpose ain't one. Tability is now GA: announcing our pricing plans. Tability is growing up! We're now officially out of beta, and our pricing plans will be enabled next week on January 14th, 2019.